Doggy Daycare Kansas City: Welcome to the Eagle Animal Hospital Blog! 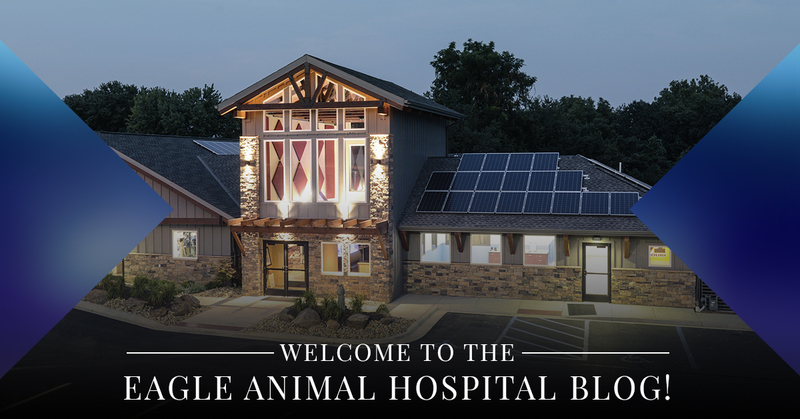 Welcome to the Eagle Animal Hospital Blog! Welcome to our blog! We are excited to launch our blog where we will post information about our animal hospital, our doggy daycare services, and our pet resort services. We will also provide our readers and patients throughout Kansas City and Northland with useful pet care tips, health and wellness advice for your dog, and so much more. With more than 60 years of exceptional veterinary services, our caring and compassionate veterinarians, along with our team of pet care specialists, are wholly committed to providing our wide-stretching communities in the area with unmatched comprehensive pet care services. To learn a little more about us, our veterinarians, and our support staff, please click here. You may also read more about our various animal care services which include pet wellness, pet dental care, and our mobile vet clinic by clicking here. In today’s blog post, we would like to look at three reasons why doggy daycare is an incredible benefit for busy pet parents. Please read below to learn more. Dogs aren’t recognized as humans’ best friends for nothing. Dogs are some of the most loving and loyal creatures on the planet; they become deeply connected to their human companions just was we become attached to them, which makes it hard to have to leave them to go to work, school, or run errands. While we all wish we could take our precious pups with us everywhere, most people must leave their dogs at home when they go to work. Sometimes, this lack of human and canine interaction for extended periods of time can lead to unwanted behaviors that develop out of boredom, loneliness, and lack of human contact. Some of these behaviors may include disobedience, excessive barking and chewing, and stress and anxiety. Doggy daycare is a wonderful option for pet parents because it provides their dog with continuous human interaction while the owner is away, which can improve the pup’s quality of life and encourage good behaviors. Enrolling your pup in doggy daycare with us at Eagle gives you more time to get things accomplished. Oftentimes, the only time busy pet owners have to run to the grocery store or stop by the post office is after work, which can place worry and guilt on a person when they have a fur baby waiting for them at home. Doggy daycare can reduce some of the anxiety a pet parent may feel if they can’t rush home right after work to let their dog out, feed them dinner, or take them for a walk. Pet parents tend to take their canine companions with them while they run errands, which is a great way to maximize the time they spend with their pup. The trouble with this is when pet owners take their dogs with them to go shopping, or to meet a friend for a bite to eat, and leave their dog locked in the car for an extended period of time. For one, it’s never a good idea to leave your dog in a car for a long period of time, especially when the temperatures are either scorching or freezing here in Northland. Also, you risk exposing them to a variety of unforeseen events that may occur while they’re waiting for you in the car. With doggy daycare, you don’t have to leave them at home alone, and you don’t have to leave them alone in a car; rather, they can play, rest, and socialize with other dogs at daycare while you’re running errands or enjoying some social time with friends. These are just some of the advantages pet owners may gain from enrolling your pup in daycare for dogs at Eagle Animal Hospital and Pet Resort in Northland. Tune in next time as we continue exploring more of the wonderful benefits of this helpful pet care service. Call us today to enroll your dog in our doggy daycare program! We hope you’ve enjoyed reading our blog! Be sure to check our blog frequently for entertaining pet news, useful tips to help keep your dog healthy and happy, and so much more! Be sure to visit our website and view more of the beneficial pet care services we offer.